The Beats Pro line of over-ear headphones are designed for professional quality audio so you can listen to your music the way it’s meant to be heard by the artist. 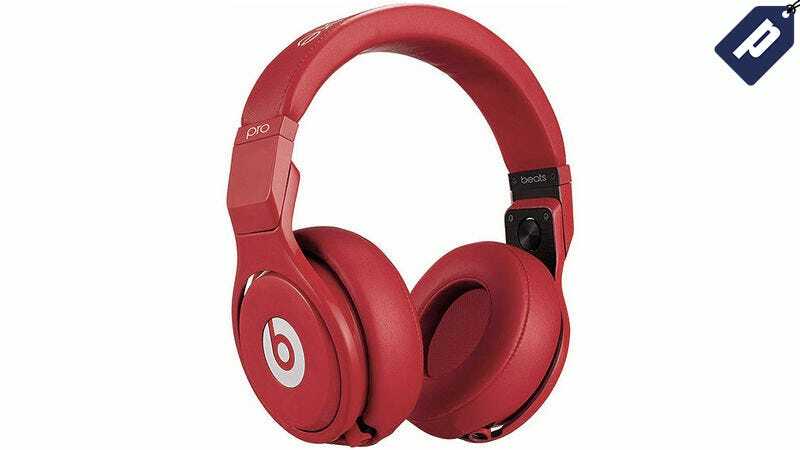 They retail for a hefty $400, but you can get the red “Lil Wayne” model today for just $235 w/ code BEATS5 - the lowest price on the web. These studio-quality headphones bring back the sound quality that’s often lost in modern-day file compression, delivering clear highs and deep lows. The heavily padded pivoting ear cups serve a dual purpose, giving you maximum comfort as well as natural noise reduction. The Beats Pro headphones are an investment in top-notch audio quality and comfort, but at 40% off MSRP with free US shipping, you won’t find a better deal. Grab yours today at the link below.